Guided Hiker’s Haute Route: Only two rooms left! The Hiker’s Haute Route is almost completely sold out. We only have two double rooms available so please contact Ryder-Walker if you would like to reserve one of the final rooms. Highest mountains in western Europe, the Pennine Alps offer a sensational opportunity for hikers to explore a spectacular alpine world. From Chamonix, beneath the Mont Blanc range with its granite spires and glaciated peaks, across the western Valais to Zermatt and the Matterhorn a network of trails connects sleepy villages and famous resorts. First walked in 1903 and dubbed the High Level Route, the way from Chamonix to Zermatt crosses two distinct cultural regions and passes under such glaciated giants as Mont Blanc, the Grand Combin, the Obergabelhorn, Weisshorn, Dent Blanche, Zinalrothorn and the Matterhorn. This peerless scenery competes with challenging hiking and the fascination of visiting both French and German speaking villages for the hiker’s attention. 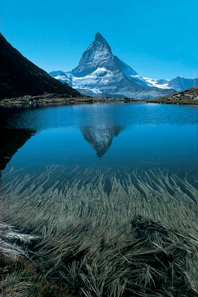 Ryder Walker offers the hiker’s haute route from Chamonix to Zermatt in a ten day trip. Along the way, we use comfortable accommodations– primarily three and four star inns and hotels– as our bases, with the exception of a two nights in simple hiker’s hostelries. As with all of our treks, luggage is transported so you can go light and enjoy the mountains without the encumbrance of a heavy backpack. Hiking days are challenging, but the scenery is breathtaking, and at the end of the day a comfortable bed, hot shower, a good meal, a glass of local wine or beer and the company of other hikers awaits. The towns along the way range from the bustling alpine center of Chamonix, with its fabulous views of the Mer de Glace and the Aiguille du Midi; to sleepy Champex, a Swiss lakeside resort with a quiet atmosphere and lovely location; Arolla beneath the beautiful Mont Collon; Les Hauderes in the atmospheric Val D’Herens with its well preserved villages and intact culture; St. Luc, with its quirky flavor and unusual views of the western face of the Matterhorn; and at the end of the trail, Zermatt, a world renowned resort village with a well justified reputation. Despite the fame of both Chamonix and Zermatt, the trails between are largely untraveled, and we won’t have to share the trails or the views with many other parties. The route lies along quiet mountain trails with some rough and remote sections and spectacular and unusual views of peaks and glaciers as trails climb to high passes, follow ancient trading routes and traverse along ancient bisses or irrigation canals under the shade of Arolla pines and larches. Most days are long and strenuous with hiking on steep mountain footpaths suitable for experienced hikers. Throughout the week we’ll experience a range of accommodations including primarily three and four star inns with private bath or shower. Some of the hotels are filled with antiques and ambiance, while in the smaller villages we stay in the simpler inns of a bygone era. Dinner is usually a four course meal shared in the company of the group and breakfast is a simple buffet taken at your leisure. Typically, lunch is a picnic enjoyed at a high pass or in a pasture with spectacular views. Other days, we have access to a mountain restaurant or hut for lunch. Your guide will let you know in advance about each day’s routine, including details about lunch, what to put in your pack, and what to expect on each day’s hike, including any options to shorten the outing. Day 1 Independent transfer to Chamonix. Geneva is the recommended point of entry. 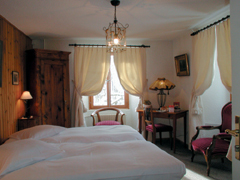 Overnight in a grand, old world hotel in Chamonix. Day 2 Enjoy a gentle introductory hike with spectacular views over the Mont Blanc range. Approximately 8 miles with 1000 feet of ascent. Overnight in a three star inn in Argentiere. Day 3 Hike from Argentiere to the village of Trient, Switzerland over the Arete des Posettes, with spectacular views of the Aiguilles or needles of Chamonix, its glaciers and Mt. Blanc. Overnight in a simple inn at Trient. 8 miles, 3500 feet of ascent. Day 4 Transfer to the Col de la Forclaz and enjoy awesome views of the Rhone Valley as you find your way through high alpine meadows. Descend through a gorgeous side valley to the lovely little resort village of Champex. Overnight in a pleasant chalet style hotel. 8 miles, 2300 feet of ascent. Day 5 Transfer to Arolla and a comfortable three star inn. Short, optional afternoon hike. Day 6 A spectacular hike lies ahead with views of Mont Collon, L’Eveque, the Pigne D’Arolla and the Aiguilles Rouges. Descend to the little village of Les Hauderes with its blackened timber homes, where we will overnight in a simple hotel. 10 miles, 2800 feet of ascent. Day 7 After ascending through pastures (one often sees the women raking hay in traditional costume here) with views back to the Aiguilles Rouges, we cross a high pass. Descend to the head of the Val D’Anniviers and transfer to St. Luc. Overnight in a special country inn filled with antiques and old world charm. 11 miles, 4500 feet of ascent. Day 8 Ascend a beautiful, remote valley to a spectacular pass with views back to the Aiguilles Rouges and the Dent D’Herens, and forward to the peaks above Zermatt: the Matterhorn, OberGabelhorn, Dent Blanche and Weisshorn. Descend into the Turtmnntal and overnight at its sole hostelry, a simple inn offering refuge to hikers and climbers from round the world. 9 miles, 3750 feet of ascent. Day 9 Another pass lies along a medieval trading route with views of the Mischabel range separating Zermatt from Saas Fee and the peaks of the Oberland to the southeast. The descent terminates in a tiny village perched high above the Mattertal and accessible only by cable car. Transfer to Zermatt beneath the Matterhorn. Overnight in a superior, first class country inn with a Gault et Millau rated chef and every amenity. 9 miles, 3500 feet of ascent. Difficulty: Distances up to 11 miles and ascents of up to 4500 feet make this a challenging, strenuous trek. Hikers should be in good condition. Cost Includes: Hotel costs, breakfast and dinner daily, guiding. Luggage transfers for one or two pieces. 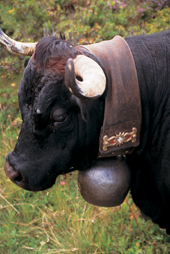 Incidental ground transport from Chamonix between points listed on itinerary. Equipment: In addition to hiking clothes to suit temperatures from 40° to 80°, equipment for this tour should include a daypack, sturdy hiking boots, rain and sun protection. Tour Cost: $2800 per person in double occupancy. Please contact Ryder-Walker if you have any questions regarding the Hiker’s Haute Route or any of our tours. We’d love to hear from you.